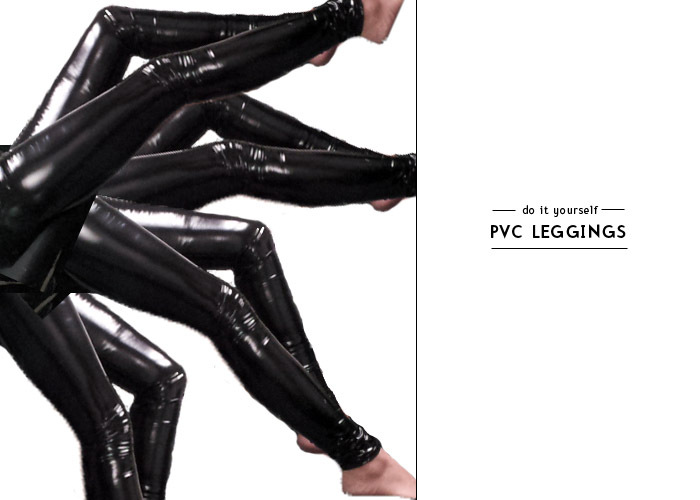 If you're like me, you've long since hopped on the bandwagon of wanting a pair of PVC leggings. Or maybe more recently, Karlie Kloss' wardrobe in the Neiman Marcus x Target collaboration has you lusting after a pair. Well today's your lucky day! Instead of dropping a pretty penny make them yourself using my free legging pattern in conjunction with my DIY Legging tutorial and the instructions below! 4-way stretch PVC - I purchased mine from MJ Trends and I was very happy with it. It comes in a variety of colours. Do NOT pin PVC fabric as it will not heal. Simply use some tape to tape pieces together! 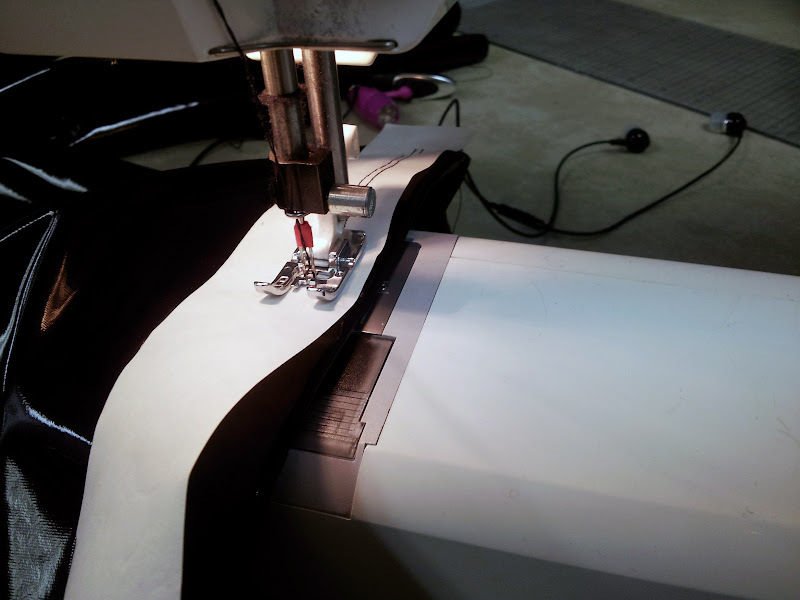 Use a seam allowance of 10mm for the leg seams and if not using a serger, finish raw edge with a small zigzag stitch. When sewing with the PVC side of the fabric coming in contact with the presser foot, you may experience issues with the foot sticking. 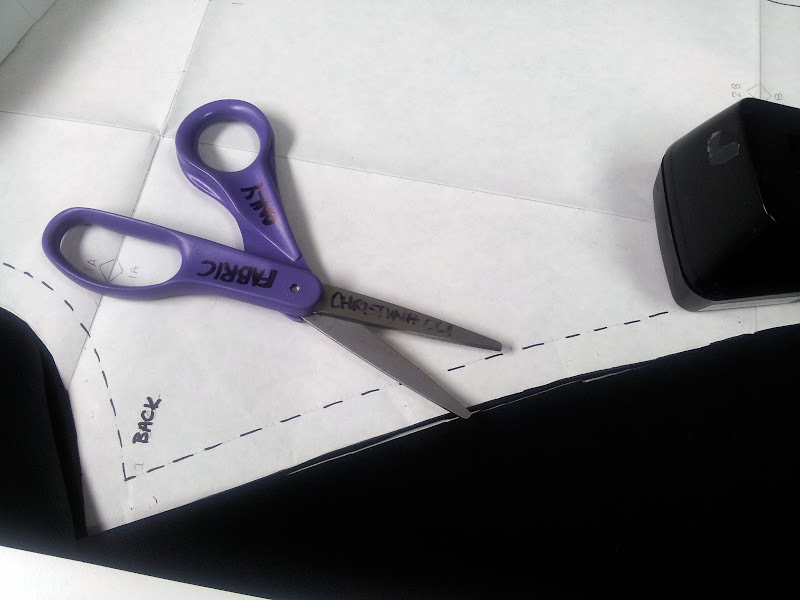 Place a piece of paper/tissue paper between the foot and fabric. You may also try corn starch. Use the photos below for further clarity of the legging tutorial. 1 • Cut pattern out of fabric without pinning. You can use chalk to mark the non-PVC side of the fabric. 2 • Tape do not pin fabric. 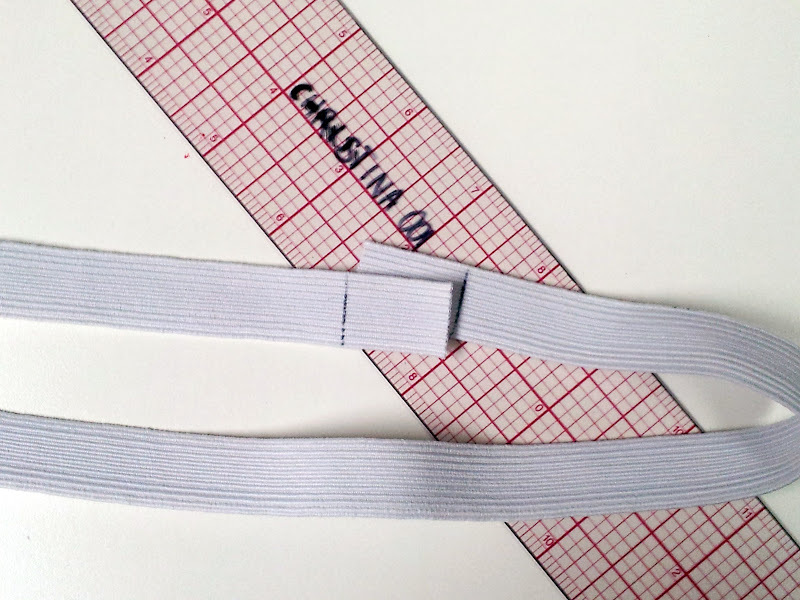 3 • Cut the waistband making sure to mark the overlapping sections. 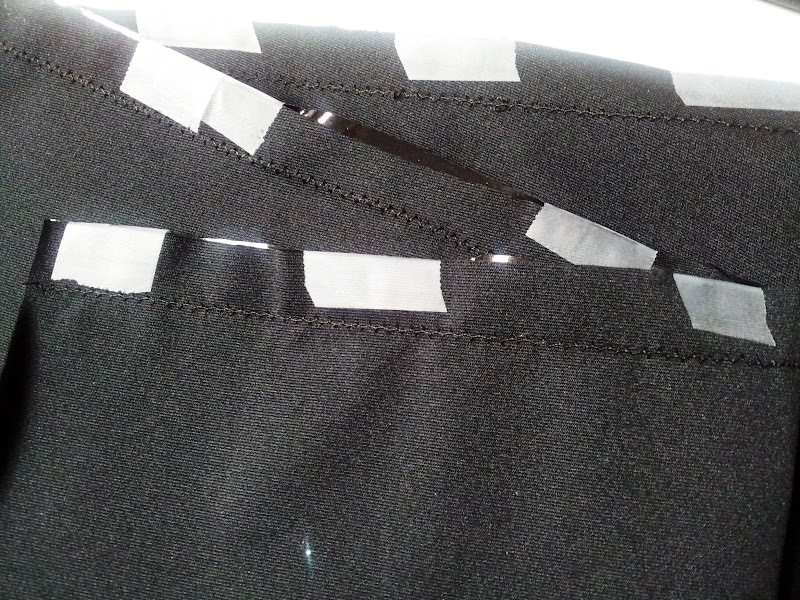 4 • Elastic at waistband is folded under and top stitched with a twin needle. 5 • PVC can stick to the presser foot. I used paper between the two. Other options: tissue paper, corn starch, lubricant, walking foot, PVC foot. The first image is of the actual leggings I made, but below find the Karlie Kloss ad for some further inspiration. You can even try making a hybrid of liquid PVC and wet look like sold at Black Milk.